Did I tell you I got a cute butternut squash? Got it at Namdhari. Quite like our red pumpkin, only not so red. It is a pleasing orange. Rather peachy, if you ask me. Fine, don’t ask. Yes, I saw you grin. I know you won’t ask and never mind the argument about the colors… but it reminded me of that material we bought before Vidur was born – you know – that peachy color and stitched jablas for him. So darling he looked. Okay, Vidur is always good for a distraction! Also made me think of the peach-colored jabla Vishnu was wearing when we first met him! Ah, sweet memories. When I held the squash it was like a little baby. Chellakutty! Lovely shape! Then I felt mean when I thought, ah, I am going to cook you and eat you up! Like that disco pumpkin. So cute. I got one of those yesterday – couldn’t resist! The first image that comes to mind when I think of disco pumpkin is the sight of a three-year old Vidur making off with it in the supermarket vegetable aisle, with the watchman in close pursuit. Check it out…the tubular part was seedless! Became vatha kozhambu! By the way, Poppy says the pumpkin can be cooked whole in the microwave! Must try it. Oh, how we loved pumpkin! I especially love the white one…the ash gourd. While talking to T she suggested the halwa and I remembered how we once made it with slivered almonds. You and I loved it but Sury and Vidur not so much. They weren’t excited by the strong flavor. But this time they both promised to enjoy it and did! They’ve become so broadminded with their choices. Semia payasam being a case in point. I made Falooda yesterday. Rose flavored. Last week I made mango flavored. Vidur just loves it. I seriously can’t see how different it is from semia payasam, and when I told Sury, he said, yeah, why not nicely heat it up and enjoy it. And he did. I am wondering what happened to the Delhi carrots – we are nudging the second week of November. By now we should have made carrot halwa several times over. I’ve been making beetroot halwa though. By the way, I skipped the khoya mainly because there was none at home and added milk powder instead. What a clever move. Came out perfectly. These days I stock Khoya in the fridge so that at the drop of a hat, or even without the hat, I can make cashew nut or almond burfi. Another sweet that turns out great is the good ole 7 cups – which I deftly made for Diwali. 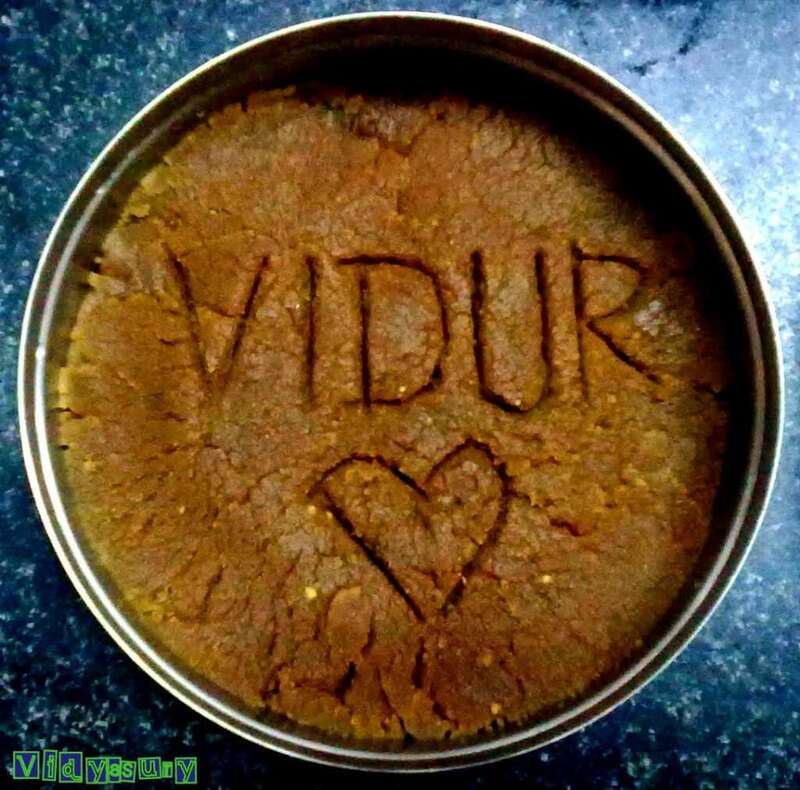 But you know what Vidur loves best? Besan halwa. I am thinking of making it for him now, because he thinks he’s developing a cold. Such a good boy! Mi, that cream cupboard is taking forever to clean. Sometimes I wish I had the guts to just throw everything out and chill. But you know how it is. The ridiculous thing is seeing all the stuff that has been out of sight for years, and not missed. Now, when we see them, we have misgivings about letting go. Sometimes I disgust myself. Can’t deny I enjoy the process though! Talking of Letting Go – I contributed a chapter to Alex Blackwell’s book Letting Go: 25 True Stories of Peace, Hope and Surrender I know you will love my chapter. I felt very good about writing it. See the image in the sidebar. Nice, no? Love kaddu ka halwa a lot!! And besan halwa too! Haven’t tasted Vatha kuzhambu! I am a huge fan of kaddu and … sitaphal, right? 😀 Thank you Shilpa. When you visit Bangalore, vatha kuzhambu for you! Sangeeta, I had the seeds dried and packed in a ziplock pouch. My boys accidentally put it in the garbage bin and it is gone. 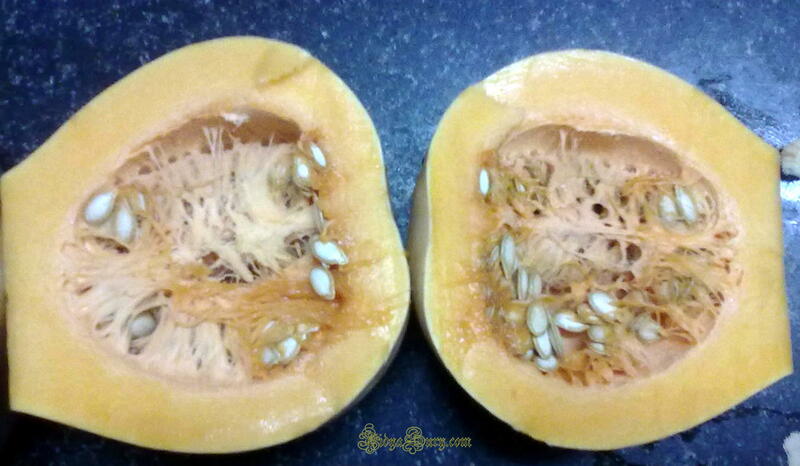 But now that I know, I’ll get another butternut squash and save the seeds for you. 🙂 Hugs! Okay, so this is what it looks like! Looks like a musical instrument that I can’t get the name of! Seems a lot of sweetness is planned. 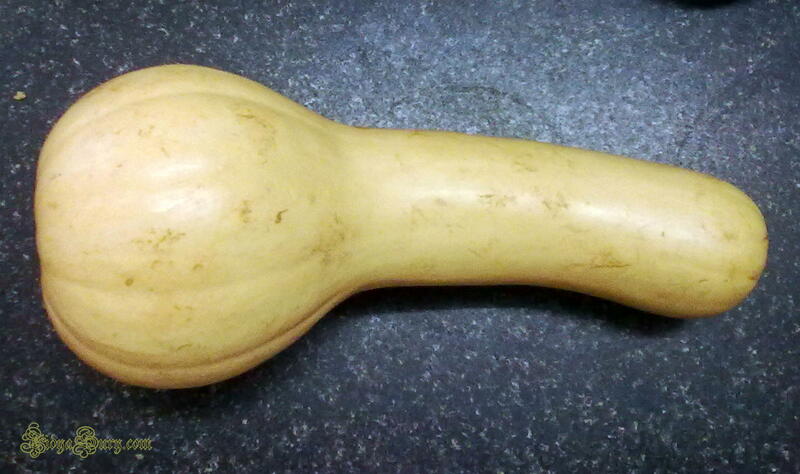 Oh my, when I saw that photo of the squash, ahem, I thought of the idea of getting it cooked and eaten. That thought just made me shudder. For some reason, my voice just went high-pitched. I hope you enjoyed the super-sweet weekend! LOL. Love the shape of that veggie..